I had an unexpected, yet illuminating, conversation recently with a former colleague in education. With just a few weeks before his non-probationary (third year) status was up, he was told he’d be non-renewed at his current school. Until his last evaluation, he hadn’t a negative comment; he had no identified areas of deficiencies. His kids performed well according to the measures of his school and department. He was passionate about kids, teaching, and his subject matter. It was his driving force to make social studies relevant, global, and meaningful for his students. His supervisor was willing to write him a letter of recommendation and would even hire him back if another position in his subject area were to open up. However, this particular middle school social studies teacher, two sport coach, and highly involved staff member was unable to find another teaching job. He spent several months completing applications, interviewing, and being told he was a strong candidate and was near the top of those interviewed, but still could not find a new position. He was professional through the rest of the school year. He didn’t make a production of his termination with his kids as is often the case with some departing teachers. As his last official day at school passed, and he still had no job or even job prospects. The inclination to falsely tie his ability to get a teaching job with his worth as a person and husband started to get the better of him. He was disillusioned and shaken on a level much more than the professional. He was getting desperate to find a job. He expanded his search, considered longer and longer commutes, and still nothing. It was difficult to watch the events unfold and my 17 years in education as teacher and administrator proved useless in being of any assistance to him. However, this particular post isn’t about the inequities or difficulties of finding a teaching job in a tight job market and how that relates to a teacher shortage crisis. It’s about the unexpected part of the conversation I alluded to earlier. He’s now switched job paths completely and is managing a fast food restaurant. He doesn’t make any apologies for it and is doing quite well. My casual inquiry about how it was going turned serious when he said, “Rick, I’m so much more empowered now than I ever was as a teacher.” I didn’t expect that and in my own three years in fast food, I never really felt empowered even in the semi-managerial role I briefly held. We talked more about empowerment and the teaching profession, locally and nationally, and pieces of other recent conversations and experiences came together throughout our discourse. His story is not unique and many teachers willingly leave the profession for myriad reasons. Teachers leaving the profession concerns me, but not as much as the ones who decide (and are deciding) not to come to the profession at all. In 1987-88 the typical teacher had 15 years of experience. What strikes me about these two bits of information is where they fall in the milestones tombstones(?) of reform efforts in American education. The connection to the impending teacher crisis may not be strictly causal, but it does give me pause. In 1989, the year following 87-88 referenced above and sparked by the 1983 publication of A Nation at Risk, state governors convened a summit to focus on education. Out of this the the National Education Goals panel was formed and eventually produced the Goals 2000 legislation , signed into law in 1994 . As a follow up in 1996, the National Education Summit convened pledging “to support efforts to set academic standards at the state and local levels” . Also keep in mind in the mid to late 90’s outcomes-based education evolved and messily imploded. Within a few years, states who haven’t adopted academic standards move to do so in the wake of NCLB that is signed into law in 2001. High-stakes standardized testing, school report cards, and the political and continued public vilification of educators soon follow. In 2002 states and school districts that receive Title I funding are required to participate in NAEP in order to keep those federal dollars . High-stakes standardized testing, school report cards, and the political and continued public vilification of educators soon follow. As the standardized tests explicitly elevated in importance the subjects math, science, and language arts, by extension those potential teachers with a passion for other areas found (and continue to find) themselves marginalized, lost in the hysteria of high-stakes, standardized testing. Math, science, and language arts teachers resent[ed] the building pressure to have their kids perform well on the tests while other teachers resent[ed] the cuts (fiscally, politically, and practically) to their disciplines, especially the arts. In a world of scale scores, cut points, and proficiency levels, the creative impulse in humans, and its associated propensity toward risk and possible failure, becomes unpalatable. And, in the name of raising test scores, we continue to educate the creativity right out of our children. So much so that we have to create “partnerships” and entire buzz phrase endeavors to reintroduce ourselves and our kids to the parts of themselves we’ve tested out of them. Consider also the Wall Street Journal article by Sue Shellenbarger that reports “Americans’ scores on a commonly used creativity test fell steadily from 1990 to 2008, especially in the kindergarten through sixth-grade age group…” . We’ve heard Sir Ken Robinson tell us that “creativity is as important in education as literacy, and we should treat it with the same status” in one of his creativity and school talks from 2006 . If that’s too outdated, perhaps we should pay close attention to his take on the arts, creativity, and divergent thinking in his excellent RSA Animate talk from October 2010 . In an environment where just about everything has to be quantified and translated into sterile, lifeless measurable outcomes where learners are commodities to be grown for higher education or employers (rather than being developed as human beings), it’s little wonder that more people aren’t flocking to the profession. This, as many current educators will tell you, is only one point of consideration. There are many more factors that are contributing to our teacher shortage -perhaps we’ll discuss some of them here. PBS Frontline, Are We There Yet? National Assessment of Educational Progress (NAEP) Frequently Asked Questions: Is participation in NAEP voluntary? I cut my hand on a piece of paper recently and the stupid thing would not stop bleeding. That followed a nasty bruise I received from a favorite book that fell corner first on the top of my foot. On more than one occasion I’ve sliced various parts of my fingers on staples that stuck out at precarious angles. And once, doing some internship hours at a middle school I had to deal with the physical, emotional, and social fallout that came from a rather pointed paper airplane that actually managed to find its way into the eye of some unsuspecting and unintended 7th grader. In my early years as a high school assistant principal, in one massive magazine sting operation, I managed to confiscate enough adult “reading” material plastered to the inside of lockers, stuffed inside backpacks, and concealed in car trunks that Mr. Geils’ angel would have herself blushed. The number of people, both student and outside adult, involved in the (reportedly profitable) exchange of these periodicals left me stunned. All over our schools, I see students from every demographic slice of society who are flirting with varying degrees of physical strain and possible injury from overweight bags an backpacks slung across shoulders, backs, arms and hands. Many of these same students often, quite unexpectedly, a required to pay fines for damages to these books resulting from their highlighting and note-taking in an attempt to make sense of their contents. Ironically, there is a growing demand at the college level for these well-marked books and an enterprising few are capitalizing of these augmented book-ideas. Often enough to be nearly commonplace, educational records, report cards, and, yes, diplomas are held hostage until missing books are ransomed or returned. In our school libraries and classrooms our students’ minds have been and are being changed and challenged by ancient wisdom and new ideas contained in printed texts, magazines, books, and newspapers. While many school librarians bristle at having their paper reading materials censored, they are because of space, money, politics, use, relevance, or whatever. Because of these ideas set in print, protests have been launched, books have been banned -sometimes burned, and landmark cases have been decided. Are there some nice, sterilized encyclopedias and reference books for them to read for their facts? Sure. But when they do bend the binding on these tomes they often find inaccurate and outdated data. The cost to replace these materials as often as the information in them changes is more than a poor librarian’s budget can bear. Students, in their attempts to interact with their texts, find their efforts to efficiently search through books for meaningful and relevant information thwarted by their linear layouts and lacking indexes -when they exist at all. Cross referencing subjects in more than one paper source grinds to a halt amid a flurry of note cards, bookmarks, and sticky-notes. They simply get overwhelmed by the massive amount of information there. We don’t really want to talk about those online catalogs, electronic databases, and computer-based resources because that’s way too overwhelming we all know students will just plagiarize that information anyway. At least they don’t do that with paper materials. Sadly, when (and if) our kids enter public libraries and bookstores (both physical and digital), they often lack the intellectual discernment needed to make appropriate decisions because so much of the paper-base world has been filtered, intentionally or not, from them. When they are confronted with the overwhelming diversity of fiction, non-fiction, poetry, business, self-help, home improvement, religion, cooking, children’s books, graphic novels, political and social commentary, mature reading, art, photography, humor, and on and on, our kids, in their naïve and unintended ignorance, may and sometimes do choose materials that adults around them would frown upon. Unfortunately the world outside of school holds no positive models for our students either. 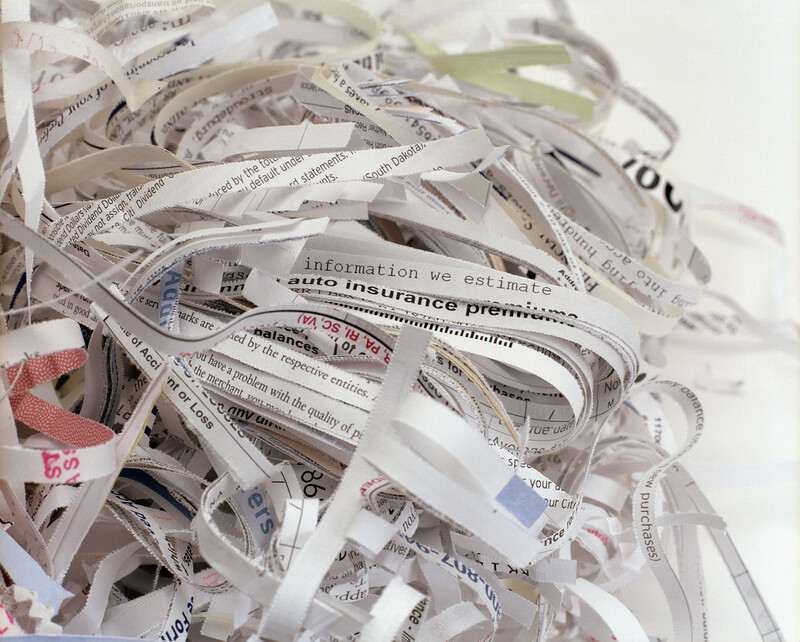 The public reporting that happens through paper spreadsheets, internal memos, quarterly statements, reconstituted shredded documents, legislative bills, unclassified documents, etc. all contain information that is dangerous and potentially misleading to our children. Their homes are also being invaded by newspapers, subscriptions, junk mail, solicitations, and all sorts of printed materials hung on doorknobs and stuffed into door frames. Look around you now with a critical eye and see the pervasive printedness everywhere around you and what you are exposing your kids to. Shame, shame, shame. It is unconscionable that we continue to let the villainy of material printed on paper threaten and imperil our children. I propose we flood our state and national legislatures demanding the passage of the Children’s Printed Paper Protection Act. ChiPPPA will provide national safeguards for defending our kids from the dangers of printed materials. Under ChiPPPA our kids will be free from the nefarious influences associated with print. Our teachers will be relieved from the worrisome tasks of having to determine the educational value of printed materials because only at school each student will have his or her own personal Constant Readability Access Paper filter. While at school the CRAP filter will be every student’s defense against the many dangers of the print medium. Every piece of written material that a student may interact with will be removed and archived by the CRAP filter. So those adults in the schools don’t waste valuable district resources or expose students to the dangers inherent in the vast printed resources, they will also receive CRAP filter as well. Even more beneficially, since every person in a school might interact with printed resources, every person will need a CRAP filter. These CRAP filters will be highly trained individuals specializing in speed reading. With the addition of the CRAP filters, there will be more jobs in schools and entire departments and staff development resources will be needed, increasing spending and stimulating the local and national economies. The money school districts will save by eliminating printed materials will be used to employ the CRAP filters. Act today and urge your legislators to pass ChiPPPA and save our children from the dangers of printed materials. All over our schools, I see students from every demographic slice of society who are flirting with varying degrees of physical strain and possible injury from overweight bags an backpacks slung across shoulders, backs, arms and hands. Many of these same students often, quite unexpectedly, a required to pay fines for damages to these books resulting from their highlighting and note-taking in an attempt to make sense of their contents. Ironically, there is a growing demand at the college level for these well-marked books and an enterprising few are capitalizing of these augmented book-ideas. Often enough to be nearly commonplace educational records, report cards, and, yes, diplomas are held hostage until missing books are ransomed or returned. In our school libraries and classrooms our students’ minds have been and are being changed and challenged by ancient wisdom and new ideas contained in texts, magazines, books, and newspapers. While many school librarians bristle at having their paper reading materials censored, they are because of space, money, politics, use, relevance, or whatever. Because of these ideas set in print, protests have been launched, books have been banned -sometimes burned, and landmark cases have been decided. Are there some nice, sterilized encyclopedias and reference books for them to read for their facts? Sure. But when they do bend the binding on these tomes they often find inaccurate and outdated data. The cost to replace these materials as often as the information in them changes is more than a poor librarian’s budget can bear. We’ve all heard it: “I don’t have enough classtime to…” Hobby teaching and veiled blame arguments on standardized testing aside, here are a few thoughts on ways to recover your “classtime” as inspired, in part, by some great conversations Learning 2.0: A Colorado Conversation. The focus should be on learning, not the dispensation of information. If you are “teaching stuff ” that should be quickly recalled with no real connections, your role has been replaced by Google, Wikipedia, WolframAlpha, and myriad web-based tools. Time is actually the variable in learning. If you didn’t already believe this on some level, you would never assign homework. Your classroom’s walls are permeable (thanks David Jakes). The simple fact is human beings look for connections everywhere and the internet has made this abundantly possible. Your kids are doing it already. It’s time to tap that vast resource. Textbooks do not equal curricula. Curricula is the means by which we facilitate learning. Technology is an essential tool for your work and student learning, not the point of learning. We don’t talk about book, paper, or whiteboard-infused/based/integrated lessons. Stop talking about technology-infused/based/integrated lessons. Seriously. Stop…Stop saying that you did a PowerPoint lesson. You don’t say you did a whiteboard/chalkboard lesson. You don’t (and can’t) know it all. You are a learner in all this. We expect that our kids will be life-long learners we should be too. While you may be an “expert” in your area, you can’t know it all. -Sorry to bruise your ego. Leverage the power of the connected learning world by building a personal/professional learning network and find those people who are doing what you do and can make you better. Since each of us can’t know it all, it makes sense to connect with others who have something to contribute. Now, with that said, just because time is the variable for your classroom does not mean that you have to be on duty all the time. In fact, many of these suggestions are ways for you to clone parts of yourself so you can be in multiple places at multiple times. We’ve long dreamed (even in jest) of that technology, but it is here. It has been in multiple forms for some time now. Stop going over your class policies and procedures, rules and regulations, etc. and put them on the web. It doesn’t matter the tool you use (email, Google Docs, a wiki, EtherPad, a blog, -whatever). Make an agreement with your kids that you won’t read the policies if they’ll read them themselves. You can invent whatever way to document and record that they and their parents have read it. At worst have them email you -give them the format of the email response if you want and have them reply to you. Estimated time recovered: 1-2 class periods. Post your PowerPoints online, especially if you find yourself turning your back to your kids and reading the stupid thing. Use free web applications like SlideShare and Prezi. Estimated time recovered: Any class period you do this. Clone yourself on the Internet and record and post your lectures/content delivery. Assign that as your kids’ “homework” and do the work you’ve always wanted to do with your kids in your classroom. You’ll be able to differentiate and work with kids individually, in small groups, or as a large group as needed. If kids don’t have computer/Internet access, have them download it to their phones, iPods, or put it on a DVD. Here’s some examples from a couple of teachers in Woodland Park, Colorado. 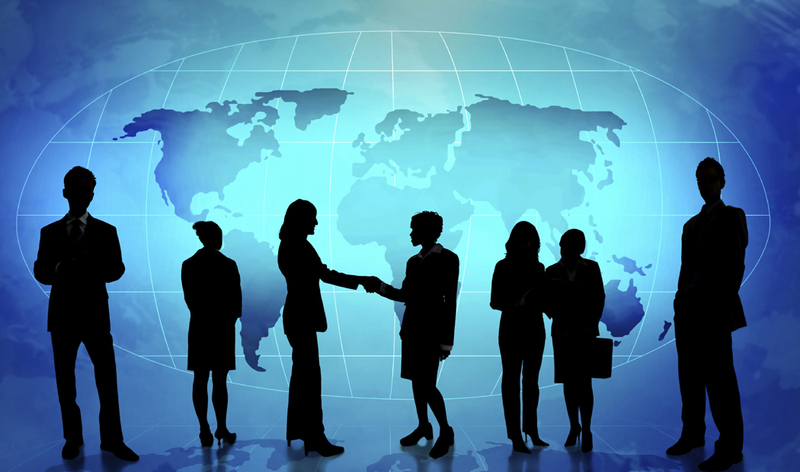 Outsource yourself to the Internet. YouTube (and it’s EduClones), MIT (yes, *that* MIT), SAS CurriculumPathways, The National Repository for Online Courses, iTunes University, Prezi just announced and Education Exchange …There’s tons of other resources. Add yours to the comments below. The few, not exhaustive, ideas are just some ways to get you thinking about ways you can recover classtime. I’d wager that if you decide to turn your kids loose with many of these tools, you’ll find the entire nature of your class and the learning you and your students experience will fundamentally change. In the first part of last year I read/listened to Chip and Dan Heath’s book, Made to Stick: Why Some Ideas Survive and Others Die. I loved it and have often referred back to ideas from some of its fabulous stories. Like any good technobibliophile, I went to the book’s web page to see what resources they might have. I signed up and downloaded some stuff and checked back in occasionally when the opportunity prompted. Theres some good stuff there for educators. 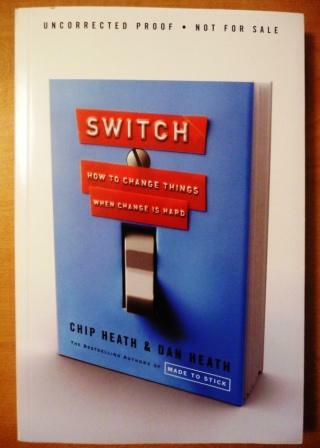 Then in November, I received an email stating I would be receiving a copy of their new book Switch: How to Change Things When Change is Hard. I was initially excited and having signed up on their site I wasn’t too suspicious of receiving emails from them. Cool. I grew excited and found myself anticipating it’s arrival, much like Ralphie in that favorite movie of mine. Then Ralphie’s lesson that he learned from his decoder ring started echoing in my mind…”A crummy commercial!” I slowly began to suspect as much as well. (You can see I’m well beyond that deadline.) What? Oooh, the secrecy…I looked at the cover of the book and it has a caption at the top “Uncorrected Proof – Not for Sale” (see the picture to the right). Really, really cool. I felt like I was part of some super secret society. I started reading right away and noticed some things that needed correcting -that’s the old English teacher kicking in. I found the book very engaging, but the holidays hit and the second semester started and I was running on 5-ish hours of sleep for a period of time that made any kind of casual reading impossible. So when I went to EduCon, I was determined to read the book. The flight to Philly and back provided just the opportunity I needed. Although I must say I probably could have finished the book much quicker if I didn’t keep stopping to make notes from thoughts the book triggered. I absolutely love that in a book! Hang on there, Rick. Rider? Elephant? Path? What kind of circus is this? Can these guys really be serious with this stuff? For sure (and we’ll come back to that), but they don’t take themselves too seriously and they are realistic about the framework they’ve created. I absolutely appreciate the practical simplicity of those two sentences and the two sequential paragraphs they introduce in the book. In fact, I’m pretty sure those pages in that section of the first chapter sold me on the rest of the book. The Heath’s conversational writing style and engaging storytelling provide fertile ground for their explanations and takeaway learnings. They’re both educators, which adds extra credibility and perspective for me. They know a good word picture/example/metaphor/story when they steal it. Okay, they really don’t steal the stuff they use in the book; they give credit where it’s due. For their framework they have taken an analogy used by University of Virginia psychologist, Jonathan Haidt, of an elephant and it’s rider. -I have to admit I had a small mental image of an circus-type elephant and rider on initial conception, but as I read on I replaced that image with that of an oliphaunt and haradrim rider as depicted in Peter Jackson’s Lord of the Rings movies. Throughout the book, the Heath’s use surprising and entertaining stories to illustrate and clarify their Rider/Elephant/Path analogy. They are amazing, funny, poignant, incredible and sometimes jaw-dropping. Each story effective reinforces the the sub-elements of the framework. Switch will provoke and entertain, stimulate and inspire, and reframe and refocus (note the section on SMART goals in chapter four, especially). I know it sounds a little like a commercial, but leaders in any capacity will find benefit in these pages. The takeaways at the end of the book with the Problem-Advice format add an additional dimension to the book and reinforce the lessons in the book. Connections and reconnections. That sums up my EduCon experience today. After @NancyW (Nancy White) and I made our bus connection to SLA, I connected with @bhwilkoff (Ben Wilkoff) and @hdiblasi (Howie DiBlasi) and later with @mwacker (Michael Wacker). During the SLA tour, guided by two SLA students, I found my way into several classrooms and posted a few tweets during the process. I know the non-educator friends in Facebook (and maybe even some of educator friends) sometimes get a little annoyed by my constant tweets that update my Facebook page. Some of them comment and leave me special sentiments. Like the kids we teach, they engage at different ranges consistent with their areas of interest and/or if they think they can beat someone else to a humorous reply. Later I found myself in Zac Chase‘s (@mrchase) regular classroom having a conversation about a range of education topics with @bhwilkoff (Ben Wilkoff), @mwacker (Michael Wacker), @shareski (Dean Shareski), @thecleversheep (Rodd Lucier), @jasonmkern (Jason Kern), and several others. I didn’t say much, which, for those of you who know me will probably find that hard to believe. I was there for my own learning and while I wasn’t verbally participating, I found myself making mental connections to some of my own prior learning and working it into this new knowledge. Not everything bore immediate fruit, but as is common for me, I planted seeds from the conversations of others. Downstairs in the commons and feeling the pressure to steal a few minutes of work, I turned my laptop on for the first time. I didn’t get much work done; there were too many conversations making too many connections for me. @mwacker (Michael Wacker) and I talked a little shop with @akamrt (Gregory Thompson). I met SLA teacher @dlaufenberg (Diana Laufenberg) and got to hear about some of the internal workings of SLA over a Mediterranean lunch with several people from during the day. Some of that conversation connected to some of the earlier conversations that connected back to another book I’m currently reading. @MrChase likes being a teacher. Mr. Chase drafted us to help kids with some of the struggles they were having in working through an assignment where they were using blogs. I didn’t know much about the assignment, so I found myself asking lots of questions to understand. The students were very gracious in their responses, but through the whole process I saw that one of them was listening to the group’s responses and was working them into the 10 items Mr. Chase asked them to work on. There, I made another re-connection: questions are important. It’s soooo easy to fall back on our “Curse of Knowledge” as Dean Shareski made reference to earlier (which also triggered a connection to a book I recently read, Made to Stick by Chip and Dan Heath who also made reference throughout to the Curse of Knowledge). @bhwilkoff (Ben Wilkoff), @mwacker (Michael Wacker), and I made an unremarkable trip and back to a tweetup before attending the Friday Night Panel Discussion. Now that made lots of connections for lots of people. The Twitter hashtag #educon made it as one of the trending topics in Philadelphia. Managing the conversations on stage and via Twitter proved to be hyper-engaging for me, not really a pacifier as one panelist alluded to regarding technology. I may have gotten a little snarky once or twice. I followed the crowd out and ended up riding a conversational wave that included connections from @thecleversheep (Rodd Lucier), @shareski (Dean Shareski), @jonbecker, (Jonathan Becker, whom I long tweeted with and finally met in person), @courosa (Alec Couros who, by the way, went around the group of 13 people, introduced by both in-world and twitter names, only missing one who was new to him. That was amazing and shows the power of connections on people. ), @bhwilkoff (Ben Wilkoff), @lizbdavis (Liz Davis), @aforgrave (Andrew Forgrave), @msjweir (Jamie Reaburn Weir), @zbpipe (Zoe Branigan-Pipe), and @crafty184 (Chris Craft). My memory isn’t as good as @courosa (Alec Couros) because I’ve left two people out. I apologize. After the good conversations from the day, I knew I wasn’t going to be going to sleep anytime soon. That stinks because the conversations of the day start early tomorrow (er, later this morning). Oh yeah, I decided to change my Twitter picture so I can help with putting a name to a face when meeting in-world. Thanks for the suggestion. For the past two years, I’ve watched as educators far and wide visited SLA for both a conference and conversations at EduCon. This year I’m attending EduCon 2.2, the third iteration. I know, I know, it took me a few minutes to figure out they started with 2.0, but after that it all clicked. I’m better now. (Like Bud said), EduCon is not about formulas or copying something, but (like Chris said), it’s about the exchange of ideas and the integration of them into my sphere of service. So, I have some things that are heating up and are in need of some serious exchange of ideas. Those will be where my conversations start, and, definitely not, where they’ll end. I haven’t done a very good job in this blog keeping politics out of education, but neither have we as a country. The ether is all abuzz about the President’s address to kids in school tomorrow. Politicians, media reporters and commentators, bloggers, and educators from all sides continue to weigh in. Depending on what you hear or read, this is the most crucial and defining moment in American educational history (positively or negatively) or the beginning of the end of American society or step one of political indoctrination or a colossal waste of time or, or, or. .. I must protest. Through the media frenzy caused by this, I guess I’m supposed to understand that I apparently don’t have the intelligence to parent or communicate with my son properly. I assume, from the implicit messages on both sides, that I should be afraid to discuss any ideas with him. It appears that simple exposure to this speech is too dangerous and the potential for sudden, irrevocable change is too risky. And if he doesn’t have access to this speech, he will be at a significant educational disadvantage because I obviously don’t know how to challenge him to set educational goals or expect, with my assistance, that he will take responsibility for his education. It’s obvious to me now that the media commentators do not expect me to communicate with my kid on any level about any new learning or risk exposing him to the President of the United States. Politicians on both sides have helped me see my total incompetence as a parent to either motivate my kid in school or discuss with him the ideas he may learn there. I’m just so glad my son was not yet born in 1991 when another president did the same thing and the opposition side was all indignant then and the proponent side resented their criticism. So I end where I began. I must protest…the ridiculous behavior of the politicians who demand respect for the office of the Presidency, except when the other party is in power. I must protest…the idiocy of media commentators who create controversy because it’s good for ratings. I must protest…the polarized lunatics on both sides whose hypocrisy forces schools and districts to waste their time and resources on this sort of foolishness. In case you want to make up your mind for yourself and possibly engage in a thoughtful dialog with your own kids, here’s the Prepared Remarks of President Barack Obama Back to School Event. Please pause and bow your head in solemn reverence…Thank you, continue on. Without the sacred and all-important School Supply List, many a poor soul would be relegated to shame and Trapper-Keeper (do they even make those anymore) want, left to navigate a cruel world of humiliation and incomprehensible un-preparedness. Woe to he that lacketh supplies! Woe, woe, woe! …And that’s if the parent buys the wrong brand of binder or paste when a glue stick is obviously required. I can only assume by the first item that there will be much weeping either because so many trees will have been sacrificed in the name of paper-based education or because the kids have to surrender the first five items to the homeroom teacher on the first day of school. It could also be that kids should have 8 subject dividers but only 5 spiral notebooks and everyone knows that 5 divides into 8 evenly to represent the 4 quarters he has 7 classes each. I mean, duh! Happily for us, my son apparently can expect to be very organized with his bag case and pocket folders (with brads! -are they related to chads? Hmm, I wonder…) Organization is a very important skill, one he hasn’t mastered despite heroic attempts every year to manage and file all that paper he’s using. As his report cards attest, he hasn’t done well in the neat and organized category when compared to all those compliant, neat-writing types who don’t fill the margins of their papers with doodles and comic illustrations. It seems a little strange that in all this focus on organization, they’re going to ask kids to write on all that unlined printer paper. Hey, that’s what the ruler is for. So they can practice making their own college ruled paper. Absolutely brilliant! It’s also nice to see an early emphasis on post-secondary preparation by requiring kids to have college-ruled paper. I know we’re facing some economic troubles, but in a school that has computer projectors in each room I have to wonder about the dry erase markers. They’re usually four in a pack times 630+ kids, equals lots of un-archived whiteboard writing kids won’t have access to in order to reflect on their learning. Oh! How could I be so silly *that’s* what the 3″ or larger binder is for -to write all that stuff down. I’m assuming my son will use the paper towels to write on and keep like a scroll if his binder fills up. That will test his organizational skills for sure. I don’t want to undermine the organizational educational process, but I’m going to tell him to use his glue stick to keep his papers together. Although he’s enrolled in a science class, his scientific calculator appears to be destined only for use in Algebra 1. While we’re on the subject of subject isolation, that must be why he can’t use his colored pencils in his electives. Band and Guitar must require a unique kind -maybe the colored markers. When I asked for a 512 MB memory stick, the kid at the electronics megastore looked pitifully at me and took his Captain Morgan one off his key chain and gave it to me. Other than that, the only other ones I’ve been able to find are the novelty ones the vendors gave away at NECC. I’m not sure what my son is going to do with all that space anyway. I don’t think there’ll be much computer use anyway – he doesn’t have a computer class this year. Let’s review what’s important…*Lots* of paper products; organizational items like folders, binders, and bags; colored pens, pencils, markers, and highlighters; and wooden pencils for standardized test practice -because everyone knows you can’t practice with anything else but a #2 pencil and loose-leaf paper. Well, I’m hoping he won’t need any foam board since it’s not on the list and our local Tar-Mart and Wal-Get didn’t have an opportunity to stock it. First of all, Zander’s The Art of Possibility and Robinson’s The Element represent the books I purchased because I watched related videos on TED. TED, by the way, if you have never heard of it is “riveting talks by remarkable people, free to the world.” For all you corporate, copyright, intellectual control, 19th-century business model, knowledge-hoarding authoritarians, you might want to notice that the free media on TED directly contributed to the purchase of two additional, possibly three items -the Zanders’ physical book and Robinson’s audio recording, which I may also purchase in hard copy for future reference. Additionally, after listening to the Heaths’ book, I purchased the hard copy…I’m just sayin’. I didn’t intend to read the books in the order I did. In fact I didn’t intend to read them at all other than The Element. After watching Robinson’s TED talk and Zander’s TED talk, I had to learn more. Additionally, reading Made To Stick and The Art of Possibility were a result of recurring recommendations by those I follow on Twitter and those whose blogs I read. …Meanwhile, back to the books themselves. They all have a similar “long line” as Zander calls it, “a theme upon which each [book] is a variation.” That theme is simply to make a difference our own lives and the lives of others. Each author (or groups of authors) present rather compelling and impassioned ways to do this. But each does it in almost the same way; they tell stories -lots of them. In fact stories are one of the six principles in the Heaths’ “SUCCESs” model. Each book speaks to the transformative power of Story. In testament to this, The Zanders have a section at the end of their book called “A Guide to the Stories.” The Heaths include story references from their chapters also in the end section “The Easy Reference Guide.” Robinson focuses often on “epiphany stories,” those stories that “involve some level of revelation, a way of dividing the world into before and after.” For this post, I’ll focus on the Zanders’ The Art of Possibility. In using stories told from each of their perspectives, Ben and Roz (as they identify themselves in the book) illustrate in concrete ways we can make a difference in our own lives and of others. Of the three books, theirs provides some of the most practical thinking for transformation -well, duh, it is in the title. One of the most compelling thoughts comes early on in the book as they reframe the context of world from one of scarcity to one of abundance. Here are some examples from the book. While note set against each other for a direct comparison, some do flow that way. Some may make immediate sense, while other may necessitate your reading the book. Acceptance and Rejection Action may be characterized as generative, or giving, in all senses of that word -reproducing new life, creating new ideas, consciously endowing with meaning, contributing, yielding to the power of contexts. The relationship between people and environments is highlighted, not the people and things themselves. There are only so many pieces of the pie The pie is enormous, and if you take a slice, the pie is whole again. …virtually everybody, whether living in the lap of luxury or in diminished circumstances, wakes up in the morning with the unseen assumption that life is about the struggle to survive and get ahead in a world of limited resources. Unimpeded on a daily basis by the concern for survival, free from the generalized assumption of scarcity, a person stand in the grate space of possibility in a posture of openness, with an unfettered imagination for what can be. Winning and Losing Life appears as variety, pattern, shimmering movement, inviting us in every moment to engage. See the video on Pop!Tech to hear from Zander himself on the topic -and many others from the book. Zander is one of those teachers we all wish we could have. He walks his talk absolutely graciously. It has some similarities with his TED talk, but this one has a kid! Stay for the end. The 30 minutes is completely worth it. The above quote from the the book, published in 2000, resonates with me as an educator (and I suspect others also). It’s what we strive for as educators it speaks to our passions and best hopes. It’s often how we define our educational reform efforts. This is one of those must-read books for educators. It has so much more than a blog post can do justice. If you’ve read this book or have feedback on the post, I welcome your comments.